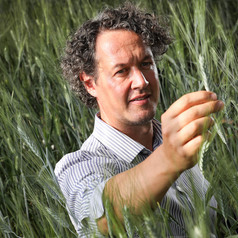 Professor Andrew Lowe is the inaugural Director of Food Innovation, Chair of Plant Conservation Biology and Director of the Centre for Conservation Science and Technology at the University of Adelaide. He is also Principal Advisor:- Biodiversity Research Partnerships for the South Australian Department of Environment, Water and Natural Resources. In his position as Director Food Innovation Professor Lowe works closely with Food South Australia and the South Australian Department of Primary Industries and Regions (PIRSA). These close relationships help develop partnerships with industry and government and act as the key interface with partners across the area of food innovation, and help maximise benefits to the community and the University of its world-class research and teaching capability in this area. He leads a group applying ecological and genomic analyses, to understand and develop management strategies for a range of landscapes; historical, contemporary and future; intact, fragmented and exploited. Andrew is passionate about communicating science, particularly the threats and solutions to biodiversity pressures.